I'm a huge fan of the Saskatchewan Roughriders football club. 2010 is the 100th anniversary of the club and the Riders are in the Grey Cup match on Sunday ... as a result, this blog is going into GREEN MODE for the next couple of days .. and unless there is major national or international news, the only thing you will find here is going to be football related! -Rod Pedersen's Blog from Regina (he's in Edmonton for the Grey Cup) has the best coverage and pics on the interweb this weekend .. Happy Thanksgiving Day to you all!! Sarah Palin: Korea ... North or South ... Who Cares? Despite reassurances that we don't need to worry about Sarah Palin ever becoming the President of the United States of America, any possibility of such should keep us all on alert. "During an appearance on Glenn Beck's radio show Wednesday, former Alaska governor Sarah Palin said North Korea is an American ally. She made the gaffe after Beck asked her opinion about North Korea's attack this week against a South Korean island. "This speaks to a bigger picture here that certainly scares me in terms of our national security policy. But obviously, gotta stand with our North Korean allies, we're bound to by treaties," she said before Beck interrupted her. "South Korean allies," he said. "Yeah," she said, continuing on with her answer saying, "We're also bound by prudence to stand with our South Korean allies." Conceived by Saskatchewan Premier Brad Wall, the agency is loosely modelled on Enterprise Ireland, which is that country’s government agency responsible for development and promotion of its business sector. It was founded in 1998 to help capitalize on and sustain Ireland’s remarkable economic expansion, which led to it being referred to as the “Celtic Tiger". It is truly unfortunate that the Regina Leader-Post, The Saskatoon Star Phoenix, The Moose Jaw Times Herald, the Prince Albert Herald, CBC Saskatchewan and CTV Saskatchewan WILL NOT ask Premier Wall some hard questions in view of what is happening in Ireland. "Now Ireland is a Celtic tiger that has demonstrated how successful you can be when you have an economic plan focused on competitive taxes, investment in people, and all sectors of the economy working together for economic growth. It is a lesson that this government should be paying attention to." Brad Wall's Saskatchewan Party based much of its financial policy on what was perceived to be the 'success' of Ireland ... the Celtic Tiger. While in Opposition, the Saskatchewan Party praised the tax cuts, massive spending and business subsidies that have now crippled the Irish economy. There are a lot of smiling faces in Saskatchewan today! It's not like we actually have 'democracy' in Canada. We have an electoral and political system where an UNELECTED Upper House can amend or kill any Bill that comes from the House of Commons. You would think that some progressive Liberals would actually speak out against what is happening in this nation. I don't expect anything different from the authoritarian 'Conservatives'. They would take our vote away completely if they could. They would never convene the House of Commons if they could get away with it. I expect proto-dictatorship from the Conservatives because that is how they operate. I even expect it from some Right leaning Liberals. But what about those Liberals who call themselves 'progressive'? Where is the outcry? 125 years ago - at the North West Mounted Police barracks in Regina, the government of Canada executed a father of Confederation because he was not white ... was not an English speaking Conservative and because he dreamed of national equity for Canada's Metis and First Nations peoples. Elected by his constituents three times in federal elections, he was never allowed to take his seat in the Canadian House of Commons. History is written by the victors of war and in the case of the Metis people, official Canadian history does a disservice to this great leader. Louis David Riel should be recognized for his role in the creation of the provinces of Manitoba and Saskatchewan. His legacy speaks of the racism inherent in Canada's creation and ongoing fabric. He was a great man. He was a great Canadian. -Ceremony held in Winnipeg at Riel's grave to mark 125th anniversary ..
We will gather at Optimist Field located at Dewdney Avenue and Empress Street between 4:30 and 5:00 pm, from there we will walk towards the RCMP Barracks. 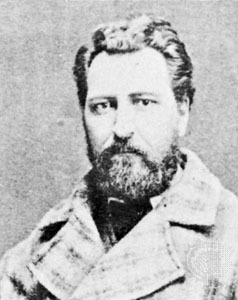 -Our Louis Riel Vigil is open to Metis and Non-Metis people. "My position is that if you're going to put troops into combat, into a war situation, I do think for the sake of legitimacy, I do think the government does require the support of Parliament. But when we're talking simply about technical or training missions, I think that is something the executive can do on its own." History is not going to be kind to this dishonest, smarmy, arrogant, little tin pot dictator. Would Someone Explain Why 'Remembrance Day - November 11th' Is NOT A Statutory Holiday In Ontario - Quebec - Manitoba and Newfoundland ? For all the hype that we hear about Canadians fighting in Afghanistan as well as our role in WW1,WW2 and Korea, can someone explain why 4 Canadian provinces do not recognize Remembrance Day as a statutory holiday?? 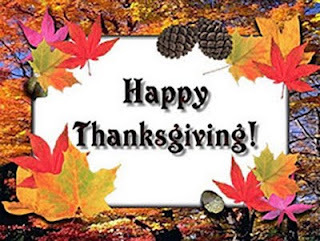 For example .. the Toronto Stock Exchange is operating today as if it is an ordinary business day. Need a bit more proof that Right Wing Tea Baggers have no idea what they are doing? "Residents in Oklahoma thought they were voting to ban Sharia law last Tuesday but it turns out that the new constitutional amendment may also extend to the Ten Commandments. The Oklahoma ballot measure orders judges not to consider Islamic or international law when deciding cases. But Rick Tepker, a law professor at the University of Oklahoma School of Law believes the "Save Our State" constitutional amendment may have the unwanted side effect of preventing judges from referencing the Ten Commandments. Tepker called the measure "a mess." Canada's East and West were joined from Atlantic to Pacific 125 years ago today by driving one last stake into the railroad that changed the nation. 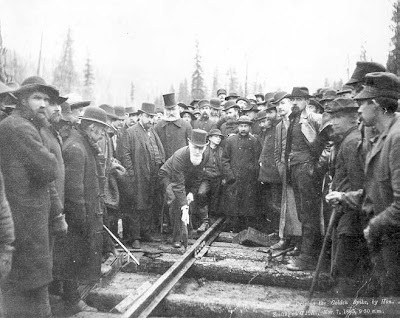 Donald Smith, later known as Lord Strathcona, drove home the Last Spike to complete Canada's first transcontinental railway on November 7, 1885. 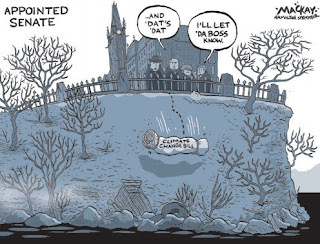 During the ongoing Potash debate, Saskatchewan's 13 Conservative Members of Parliament seem to have crapped their pants and hid under the bed to avoid any backlash from a potential foreign takeover of this key resource. 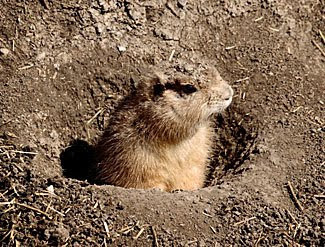 Now that the debate has moved to the next level, the 'Saskatchewan 13' are finally popping their heads up like gophers from a prairie gopher hole. According to Tory MP, Tom Lukiwiski, the 'law' prevented him and the others from saying anything on the matter. NONSENSE! What section of the Law suppressed your ability to do your job Tom? What clause ... what line of the Act prevented you from representing your constituents? "We have been fully engaged on this file in Ottawa over the course of the last three months but because of the laws governing both the securities act and Investment Canada Act we really have been restricted from making any public commentary on it and that's just way the law is." "There is absolutely no evidence or even any indication that Saskatchewan's 13 Conservative MPs, who hid throughout this process, played any role." The following article was written by Erin Weir - a Saskatchewan expatriate Economist who works at the Canadian National Office of the United Steelworkers union, which represents most of Saskatchewan’s potash miners. 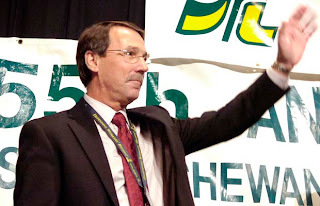 The greatest tragedy in BHP Billiton’s $38.6-billion (U.S.) bid for the Potash Corporation of Saskatchewan (PCS) is that the Government of Saskatchewan previously sold PCS for just $630 million. This privatization was the worst fiscal decision in the province’s history and has been aggravated by subsequent royalty giveaways to private potash companies. PCS was created in 1975 as a provincial Crown corporation. The Saskatchewan government privatized it in 1989, selling all of its shares by 1994. Presumably, the proceeds were deducted from the provincial deficit. Borrowing $630 million at 10 per cent interest, compounded over two decades, would have added $4.2 billion of provincial debt by now. In fact, provincial bond rates have fallen far below 10 per cent since the early 1990s. Also, had PCS shares not been sold, dividend payments to the government would have partly offset interest charges on its additional borrowing. Therefore, $4.2 billion is a very optimistic estimate of privatization’s fiscal benefit. The fiscal cost of privatization is the amount that PCS would be worth had it remained a Crown corporation. Since privatization, PCS has acquired additional potash mines in Saskatchewan and New Brunswick, phosphate and nitrogen facilities in the U.S. and Trinidad, and shares in other fertilizer companies. During the 1990s, Crown corporations were encouraged to invest outside the province. Therefore, PCS could have made the same acquisitions and developed along the same lines had it remained a Crown corporation. If so, the fiscal cost of privatization is at least $40 billion (the Canadian-dollar value of BHP’s offer), which is about 10 times the maximum fiscal benefit. Of course, privatization supporters would claim that PCS has been better managed as a private company. Had it remained a Crown corporation, PCS might have lacked the initiative or financial ability to expand. However, the mines that PCS owned in 1989 still account for 80 per cent of its potash production and capacity. Since 70 per cent of the company’s current gross margin is from potash (rather than phosphate and nitrogen), these mines still provide at least 55 per cent of overall profits today. If PCS had simply held onto those historic assets, it would now be worth more than half of today’s value. Even assuming that PCS would have completely stagnated as a Crown corporation after 1989, the fiscal cost of privatization was still more than five times the maximum fiscal benefit. Depending upon which assumptions one accepts, the costs of privatization exceeded the benefits by between $18 billion and $36 billion. In other words, the Saskatchewan government gave up between $17,000 and $35,000 for every man, woman and child in the province. Saskatchewan’s potash reserves still belong to the public. Unfortunately, the provincial government has been slashing the royalties charged to PCS and other companies that mine these reserves. Saskatchewan’s misguided royalty holidays on increased potash production in 2003 and 2005 simply prompted the U.S. and New Brunswick to cut their potash royalties. This race to the bottom has robbed Saskatchewan residents of an appropriate return on their resource. The potash industry extracted the same tonnage from Saskatchewan in 2005 and 2008. Entirely due to price increases, this output was worth $4.7 billion more in 2008 than in 2005. Most of this gain should have accrued to the people of Saskatchewan, who own the resource. Yet provincial potash royalties rose by only $1.1 billion between the 2005 and 2008 fiscal years. The provincial government then refunded much of this money to PCS and other potash companies following the economic crisis. As a result, royalty revenues actually turned negative in the 2009 fiscal year, even though the dollar value of potash sold from Saskatchewan remained higher than it had been in any year before 2007. Of course, profits in excess of royalties are subject to corporate income tax. However, the Canadian government is slashing its corporate tax rate from 29 per cent in 2000 to just 15 per cent by 2012. Between 2006 and 2008, Saskatchewan cut its rate from 17 to 12 per cent. Wholly or partially reversing these corporate tax breaks would give the public a more significant fraction of future potash profits. The prospect of a PCS takeover underscores the folly of having privatized Saskatchewan’s crown jewel. Whether or not a takeover occurs, governments should strengthen their royalty and tax regimes to collect a fairer share of potash revenue for the public. $tephen Harper and the Conservatives pledged to remedy Canada's Equalization Formula by removing non-renewable resources from the calculation. That is how it is done for the provinces of Quebec and Newfoundland BUT NOT done for Saskatchewan. Harper campaigned on fixing this inequity and Saskatchewan voters elected 12 Conservatives MP's. However, as soon as he formed a minority government, he dropped his campaign pledge and Saskatchewan's New Democratic government was forced to take Ottawa to court to repair this provincial imbalance. After 16 years in power, the New Democrats were replaced in Saskatchewan by Brad Wall's Saskatchewan Party. But as soon as he was elected, Premier Wall let Harper and the Conservatives off the hook on the resource inequity and dropped Saskatchewan's court challenge. Bad move! Wall allowed Saskatchewan to be treated differently than other provinces and Harper has been padding the national treasury with Saskatchewan money ever since. Anyone who believes that $tephen Harper and Brad Wall have been good for Saskatchewan need to give their heads a shake. Anyone who believes that $tephen Harper and Brad Wall will do the right thing for Saskatchewan with regard to our Potash industry needs psychiatric help. 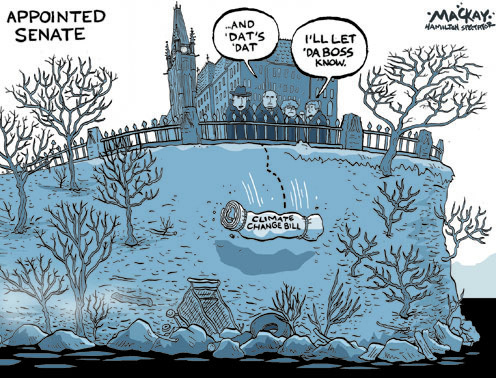 Harper and Wall are committed to Right Wing, 'unfettered free market' ideology. 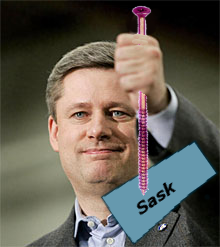 It is hurting Saskatchewan. Wall is now beginning to understand that unfettered free markets are NOT necessarily good for his province. But his awakening is coming too late. Brad Wall's weak leadership and mistakes in the past are hurting Saskatchewan's economy today. Brad Wall is a bit phony when he threatens $tephen Harper with a lawsuit over the looming BHP takeover of the Potash Corp. of Saskatchewan. The former government of Saskatchewan initiated a lawsuit against the federal government for inequitable treatment on the issue of natural resources and Equalization. When Brad Wall was elected Premier, the first thing he did was let Harper off the hook by dropping Saskatchewan's lawsuit. So here is how Wall operates ... he dropped a lawsuit that fought for Saskatchewan to be treated the same as Quebec and Newfoundland on Equalization .. a suit that sought to counter the $800 Million that was withheld from Saskatchewan .. but he is now threatening a $300 Million lawsuit over Potash. HUH!?? Brad Wall is NOT looking after the interests of the Province of Saskatchewan. Prog Blog readers will be familiar with Larry Hubich. Over the past weekend, Mr. Hubich was re-elected President of the Saskatchewan Federation of Labour in convention in Regina. Larry is a leading edge advocate for working people throughout the nation. He is a tough negotiator with a no nonsense approach to the issues that organized labour faces from the likes of Brad Wall and $tephen Harper. Apologists and hacks for the Right Wing continue to throw everything they can at Larry. That alone makes him an asset to progressives, trade unionists and social democrats both in and outside of Saskatchewan. If you don't read his blog ... well, you should.